LANSING — The state’s economic development agency is trying to figure out how it legally can allow an Ohio-based steelmaker to claim business tax credits it believes it inherited when it bought the former Rouge steel plant in Dearborn nearly three years ago. The Michigan Economic Development Corp. won’t confirm how far along it is in the process with AK Steel Corp., saying only that it’s still researching legal options. But AK Steel says the state is on board, rankling environmental groups and lawmakers from both parties over what they perceive as closed-door bargaining. The transparency questions are swirling as the MEDC and AK Steel discuss job retention and brownfield credits that now total $50 million to $60 million, by one estimate. AK Steel, which bought the Dearborn operations of Russian steelmaker OAO Severstal in 2014 for $707 million, contends the tax credits originally awarded to Severstal are among the assets it now controls. Here’s the rub: Michigan’s tax code prohibits AK Steel from claiming the credits because the company pays its business taxes under the state’s new 6 percent corporate income tax, not the old Michigan Business Tax that carved out the credits. The MEDC says there’s no precedent for what happens to tax credits when the two companies involved file under different tax codes. Jester declined additional comment. The MEDC would not confirm Jester’s account. In dispute are a 20-year credit under the old Michigan Economic Growth Authority program, which was awarded to Severstal in 2005 and worth an estimated $55 million to $60 million, and a 10-year brownfield credit against the Michigan Business Tax approved in 2011 and worth an estimated $40 million, according to AK Steel and the nonpartisan House Fiscal Agency in an analysis of legislation that failed to advance in last year’s session. Severstal’s MEGA credit was set to expire in 2026 at an original estimated value of $48.6 million, according to the MEDC. 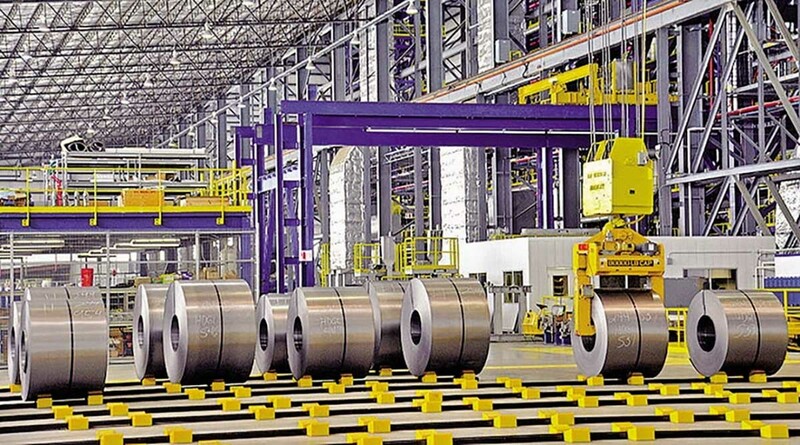 While West Chester, Ohio-based AK Steel is believed to be the first company seeking to do this, it’s possible that a favorable outcome for AK Steel could set a tax precedent for other companies that wind up in a similar scenario through a merger or acquisition. AK Steel’s request has unleashed criticism over the steelmaker’s environmental violations in Michigan, a lack of transparency surrounding talks and the belief among some that a deal to transfer credits would amount to an expansion of an expensive and unpopular — not to mention, defunct — tax credit program that will cost the state billions of dollars in payouts by the time it ends. Lucido and a handful of House colleagues — including Republican Martin Howrylak of Troy and Democrats Stephanie Chang, of Detroit, and Abdullah Hammoud, of Dearborn — issued a news release in March citing concerns with the MEDC’s process. Michigan’s liability under MEGA topped $9 billion, largely because the program was expanded to include incentives for retaining jobs during the recession. The state’s payouts created budget holes in recent years because of volatility stemming from when companies chose to redeem the credits, and have made some legislators gun-shy to approve new incentives. Legislators in the House and Senate last year attempted to change the state’s tax laws to allow a company to claim a credit that had been awarded to a company it acquired, but the efforts failed. AK Steel (NYSE: AKS) bought the plant it calls Dearborn Works in 2014 from Severstal as the Russian company sold off its U.S. facilities. The purchase was part of a plan to locate its carbon steelmaking business near its large automotive customers. The plant traces its roots to the 1920s, when it was part of Ford Motor Co.’s iconic Rouge plant. Severstal bought it out of bankruptcy from Rouge Steel Co. in 2004 for $285 million. Roughly 1,500 employees work there today, AK Steel said. The company since has spent more than $30 million at the Dearborn plant to expand a steel production line, Jester said via email. AK Steel reported a net loss of $7.8 million in 2016 on sales of $5.9 billion, according to recent SEC filings. Allan Thompson, AK Steel’s corporate tax manager, told lawmakers in November that the company is committed to its Dearborn operations despite pressure from foreign producers, which has led to years of operating losses. A company the size of AK Steel presumably would have had tax advisers who were aware of the conflict between the corporate income tax and the Michigan Business Tax, said Gina Staudacher, a partner in the corporate tax group of Howard & Howard Attorneys PLLC in Royal Oak. Standard MEGA agreements did include clauses that credits can transfer as part of a merger or acquisition, she said. “It happens rather routinely in the M&A world that (tax credits) are transitional items that can be carried forward to the resulting company,” she said and it likely influenced the price. A potential solution that might satisfy both the state and the company could be to budget what’s left of Severstal’s credits as part of the current business development program within the MEDC, and include requirements for environmental upgrades or pollution controls, Staudacher said. AK Steel’s environmental record is one reason cited by some who oppose transferring the credit. The plant is located near an industrial cluster that has contributed to pollution and public health concerns, such as asthma, in portions of Dearborn and southwest Detroit. Thompson said AK Steel increased its environmental compliance staff at the Dearborn facility from two under Severstal to five after the purchase closed, and spent $29 million in 2015 on pollution control equipment. He also said Severstal had 23,896 reported air permit deviations in 2013, a number that fell to 33 in 2016 under AK Steel’s ownership. AK Steel has received four violation notices since Jan. 1, 2016, according to Michigan Department of Environmental Quality spokeswoman Melody Kindraka, including one issued Feb. 23 this year for fallout from a large brown plume that spilled over from the Dearborn property in December 2016. Hammoud, a first-term Democrat from Dearborn, has asked that AK Steel and MEDC include plans for capital improvements during the next five to 10 years that could lead to fewer emissions and environmental violations in an agreement, but said he has heard that so far the provision has not been included. The competing positions hardly seem irreconcilable. AK does indeed control the tax-credit assets that were transferred to them as part of the sale. They're just chagrined to find that the value of those assets is considerably lower than they thought. At one time thought the law was simple buy the stock the contracts / business remains intact unless subsequent negotiations changed the obligations. Buy the assets new question the bargaining agreements to environmental liabilities are new ball game. Why do we have tax credits to companies and developers? It is just a giveaway of public monies to private enterprises. If a company can not build or develop what they want without tax credits or by purchasing an asset at a lower price, then it is not a worthwhile enterprise. Why should the public be charged just because some politician wants to have a picture taken at a groundbreaking ceremony or have something to add to the resume? These credits are simply bribes that state and local governments offer to corporations to entice them into locating (or relocating maybe) offices, shops, and plants on the payer's home turf. The quid pro quo is usually said to consist of new jobs, a business-friendly economic reputation, and increased tax revenues sometime TBA. This has been going on for a very long time. Very often there are bidding wars in which governments of A and B compete with each other to see which can offer Business X the most lucrative terms. I don't think I've ever heard anyone seriously ask why American corporations too often need to be bribed to get them to employ American workers to make American products on American soil. Yes, they may reap bigger profits by relocating overseas where production costs are lower, but why can't/won't they stay here just because it's the right thing to do (the President seems to believe it is, at any rate)? Oh, wait, now I remember! It's because big businesses are accountable solely to shareholders and Wall Street banks. Probably no CEO has ever been fired for upping the quarterly numbers. We are already giving 9.6 billion a year in tax subsidies to business. What have we got except low wages, more poverty, crappy schools, horrible roads, and empty pockets. If we live in a free trade economy, why do we have to subsidize it? I'm tired of welfare to corporate America. Isn't it time they learned to stand on their own two feet?